According to the Centers for Disease Control (CDC), the measles outbreak in the U.S. just topped 100 cases. A large number of those cases started from a single visitor to Disneyland. Physicians blame lower immunization rates, and the American Veterinary Medical Association (AVMA) is seeing this trend in the pet world. 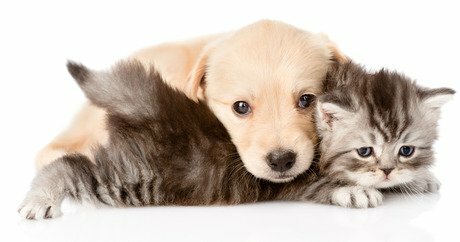 Christopher Brockett, president of the New York State Veterinary Medical Society, says he’s seen more and more pet owners skip vaccines. He is concerned that certain illnesses such as distemper in dogs could be avoided with a vaccine. “The fewer animals that are getting the vaccine, the greater the likelihood that you’re going to have a firestorm if something that is that highly communicable comes along,” Brockett tells New York Magazine. Before a vaccine was developed to fight canine distemper in 1929, the illness was widespread and had fatal consequences on dogs. The AVMA has vaccine guidelines for dog parents to follow. The veterinarians at the AVMA strongly believe that prevention is a must to keep dogs healthy. They also agree that annual visits for preventative care are essential. Catching an illness before it spreads gives pet parents a stronger chance at eradicating it. Some of the necessary vaccines for dogs include rabies, distemper, parvovirus, and Lyme disease. Talk to your pet’s veterinarian about keeping your pet in the best shape possible.